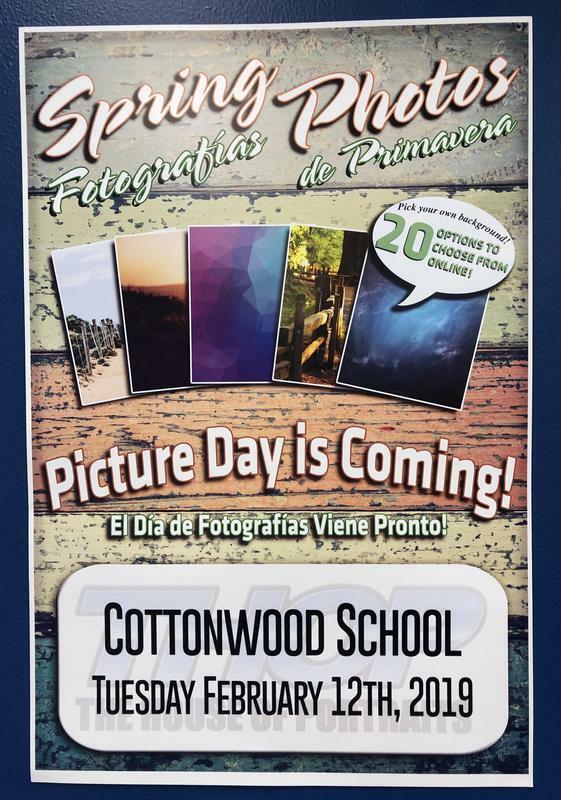 Spring pictures will take place at Cottonwood on February 12, 2019. No money is needed prior to having your picture taken. Parents will have the opportunity to view preview photos prior to making any purchases.